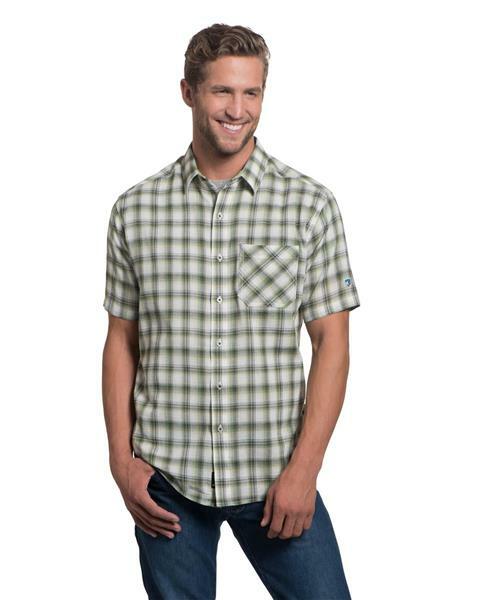 The KÜHL Tropik™ Shirt with 100% Airflow™ organic cotton in an open weave that wicks moisture and keeps fabric away from your skin by creating added air circulation. Airflow™ fabric will keep you especially kuhl in hot, humid conditions. With KUHL signature metal buttons, a left chest pocket, crinkle effect on the fabric and a contrasting back yoke inside the collar.